If there was one product that I was lacking in my collection, it's perfumes. 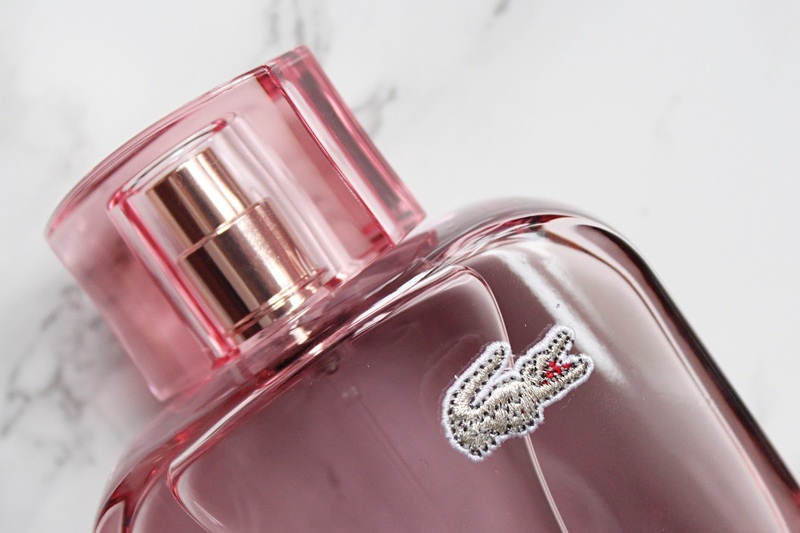 I used to be a huge fan of the Lacoste Touch of Pink fragrance and wore it for years when I was younger so I wanted to try out these three new ones from the brand. 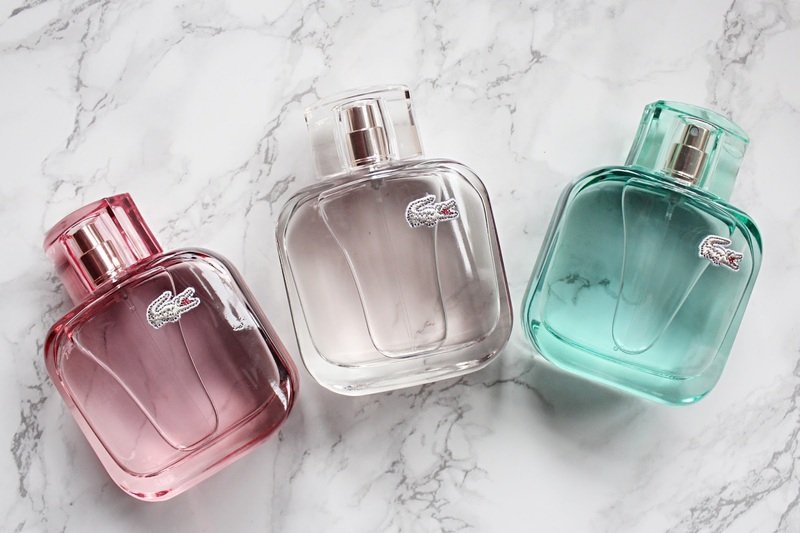 It's not often that when three fragrances are launched from a brand that I actually like all three, I am usually very fussy with my fragrances but I love all of three of these. - Natural: top notes of Pineapple and Raspberries. Heart notes of Wild Rose, Orris and Jasmine with base notes of Sandalwood, Ambrox and Cream Coconut. - Sparkling: Top notes of Red Apple, Mandarin and Blackberries. Heart notes of Cotton Candy Accord and lily of the Valley with base notes of Vetyver, Cashmere wood and blackberries. I would have to say that my favourite scent out of the three has to be Sparkling as it is on the sweeter side and those are my favourite types of scents but Natural is in a very close second. But I still love Elegant so basically I like them all don't I! All three of the scents have great lasting power once spritzed onto skin and even longer on clothing. One thing I do really like about these fragrances is that they aren't over powering and aren't the kind of scent that would offend someone elses nose. All three of the scents are very wearable for day time and I have been alternating between the three everyday for work. 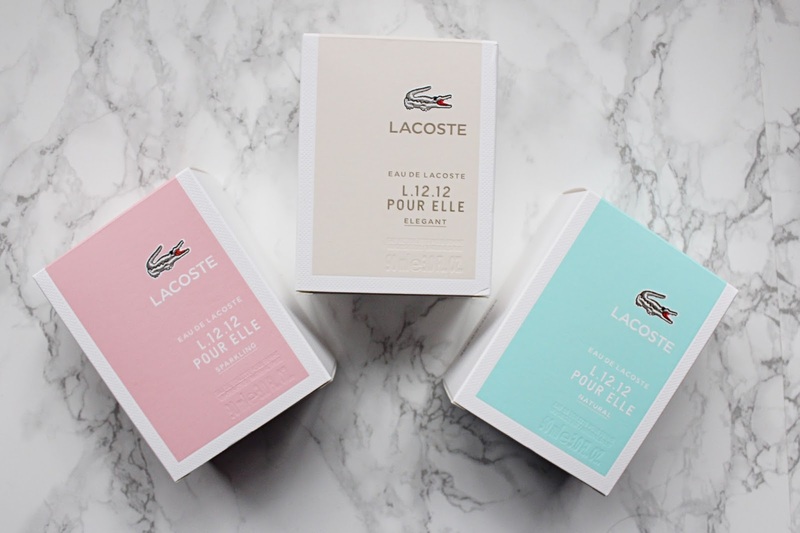 The Lacoste L.12.12 Pour Elle fragrances are priced from £29.99 and are available - HERE.